A lovely interview with Carlos Huber, as he describes his view on the links between scent and memory and the storytelling qualities a perfume can have. He recently developed the new scent for the St. Regis. I couldn’t agree more with his views and observations. Celebrated Scent Designer and founder of ARQUISTE Parfumeur, Carlos Huber captures the scent of St. Regis with the debut of Caroline’s Four Hundred. The brand’s first-ever bespoke scent is inspired by Caroline Astor, the matriarch of the hotel’s founding family and doyenne of New York’s Gilded Age society. Inspired by one of the most splendid of “The” Mrs. Astor’s famous balls, Caroline’s Four Hundred takes its name from the 400 notable guests that represented the highest echelons of New York society. The scent captures at once the exotic woods of the ballroom; the potted palms and apple blossoms that lined the hallways; and the light crisp essence of champagne wafting through the crowds. With notes of rich American Beauty roses – her favorite flower – green stems, white lilies and the delicate sweetness of quince, apple and cherry blossom,Caroline’s Four Hundred, embraces all of the blooms that adorned her ballroom on that unforgettable evening in 1900. 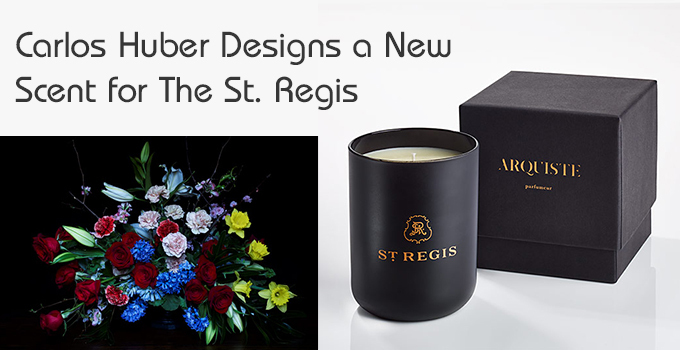 The St. Regis fragrance will be featured at all St. Regis Hotels and Resorts around the world. This was first published in the St. Regis Magazine, Beyond. What do you recollect of the scents of your childhood? Although I’m absolutely in love with plants, I’ve actually always lived in apartments. 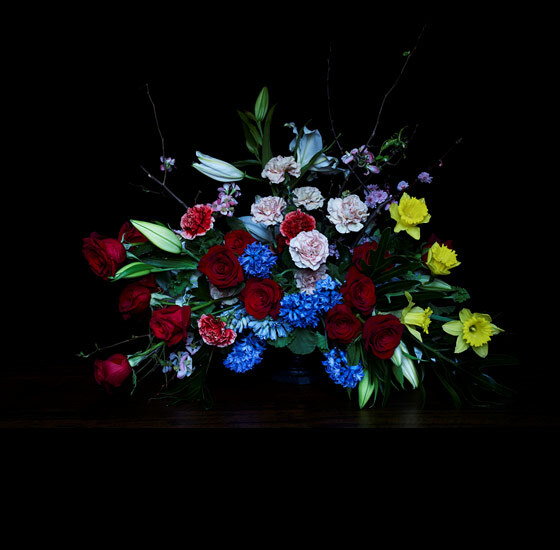 But growing up in Mexico City I remember, when the elevator doors would open, always discovering a new flower arrangement that my mom had made. So the scent of flowers would always welcome me home. How does your love of place and history connect to perfume? More than any other sense, smell is linked to memory. As abstract and evanescent as a perfume can be, in our minds it is always tied to a concrete time and place. I’ve always been very connected to the discovery of a new city, a new landscape, through its aromas. With each of our scents, I want to guide you through a journey. That’s why it’s very important for me that the perfumes be “transparent”, that you are able to smell each ingredient so that you recognize them as clues in the story. What was it like to train under Rodrigo Flores-Roux at Givaudan US? When he discussed a specific note, or an historic perfume accord, he would set it up in its period so I would understand the world around it. It was a cultural history of perfume. I see myself as a fragrance architect: designing the scent so it highlights the significance of a beautiful story. I strive to be meticulous. The more of the picture I can paint for you, the more connection you will find with your life. History is my favorite subject. I read about the meeting of the French and Spanish courts in 1660 when the Peace Treaty of the Pyrenees was consolidated. For Fleur de Louis I investigated not only what they used as perfume, but also what they used to scent the room. The king’s cousin said that the pavilion where they met was so new that it still smelled of pine and varnishing tar. Waiheke Island in New Zealand: it’s full of honeysuckle and jasmine. And Sydney is such a fragrant city – full of star jasmine in late spring, magnolias in the early summer, and frangipani later on. My favorite ingredients are gardenia, magnolia grandiflora, vanilla, lavender and rosemary, from Mexico, Australia, Spain and France. You live in New York. What is the olfactory character of the Big Apple? The waterways are definitely important. I love the Hudson for its sharp, briny scent. And the aroma of home? I like to buy fresh flowers and to change them depending on what’s in season, to experience a new scent. I also love burning candles. In the living room there will be a green floral (the St. Regis scent actually), in my bedroom something warmer, and in the bathroom something mossy and green. What is the story behind the perfume you have created for St. Regis? The ambient scent and candle are inspired by Mrs Astor’s ball, held at her Fifth Avenue home on January 29, 1900. Guests were greeted by the scent of American Beauty roses, the hostess’s favorite flower. They made their way down halls lined with potted palms and pillars of apple, quince and almond blossom. From there, they would enter a ballroom decorated with red roses, white lilies, yellow jonquils, violets and carnations. Our scent is a custom composition that is historic, modern, truly signature. Does perfume allow us access to something akin to a sixth sense? Absolutely. Perfume can create a reaction almost like a vibration. It can excite, remind or attract you to something that’s beyond rational explanation.